431 pages | 17 B/W Illus. 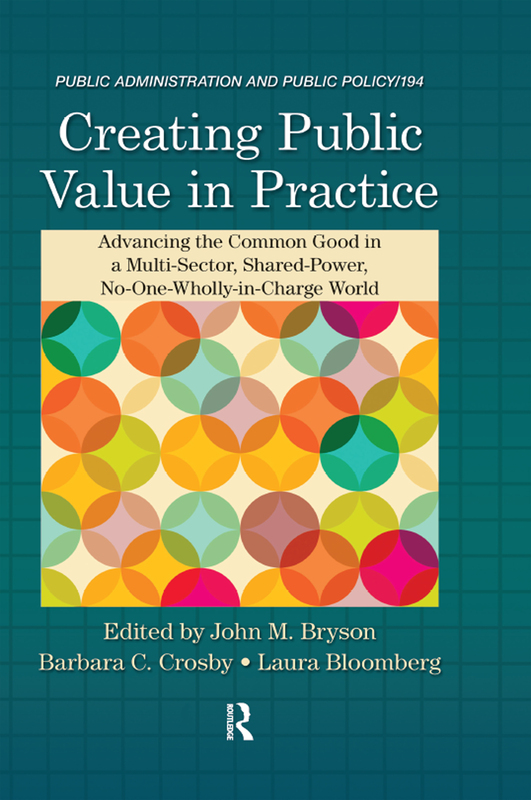 Creating Public Value in Practice: Advancing the Common Good in a Multi-Sector, Shared-Power, No-One-Wholly-in-Charge Worldbrings together a stellar cast of thinkers to explore issues of public and cross-sector decision-making within a framework of democratic civic engagement. It offers an integrative approach to understanding and applying the concepts of creating public value, public values, and the public sphere. It presents a framework and language for opening a constructive conversation on what governments, businesses, nonprofits, and citizens can achieve in a democracy that honors a broad range of public values.